Edge Kail is a simple man that likes to create things with his hands. Building weapons and armor is fun as well as needed in these times before a big mission. Everything on this costume was produced in house except for the jumpsuit, boots and gloves. 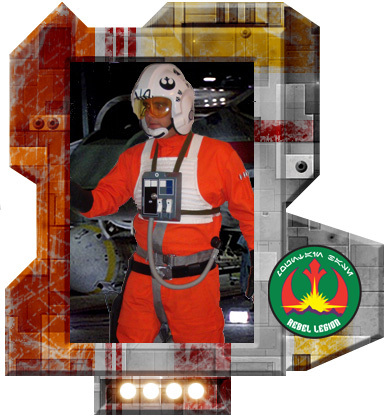 We did the mods for the jump suit and the pressure vest based on images from the movies. The blaster, leg flares, belt flares and arm tools are machined by me. The helmet and chest box were vac u formed in my shop and the decals were cut on my vinyl plotter.